Are you tired of that harsh chlorine smell around you pool area? Consider switching to a salt chlorination system. The Aqua Rite AQRPROSALT salt chlorinator is known to be the best in the world, the ideal alternative to traditional chlorine systems. No more itchy skin or burning eyes! The AQRPROSALT system will save you time and money. No more measuring, mixing, or lugging around chlorine ever again! This salt chlorinator is available in 3 sizes: 40,000 gallons, 25,000 gallons, and 15,000 gallons. 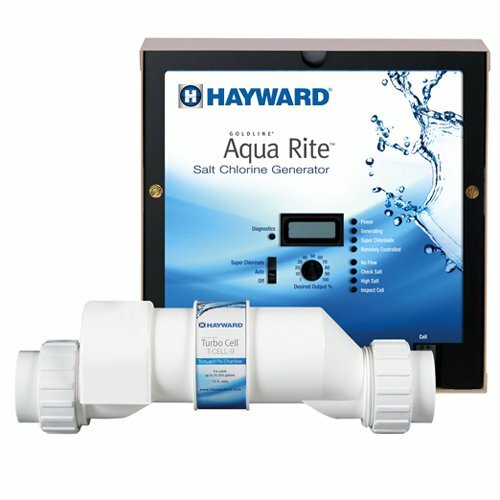 Contact us for more information about the Aqua Rite AQRPROSALT salt chlorine generator.